Thanks to Dave Van Walwyck who started this off and Sue Holton for later additions we now are able to bring you a complete chronologically listed discography of Gordon's works on one comprehensive spreadsheet. Full details of any particular item including links for purchasing etc can still be found by clicking the corresponding thumbnail picture on the right hand side menu in this section. 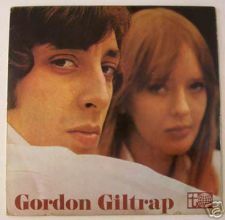 Please click the icon at the bottom of this page to download the full spreadsheet and explore Gordon's history further, starting with "Gordon Giltrap" in 1968. 1992 The Eye Of The Wind Accolade EYE T1 Cassette only. Birmingham Schools Concert Orch. 1995 The Brotherhood Suite Munchkin Records Cassette only. Nottmshire Education String Orch.